Basic I: Learning the method of making artisan pasta all’ uovo (egg pasta) with a focus on perfecting the dough and learning basic shapes. Basic II: Learning Eggless Pasta--pasta dough made with water and flour only. 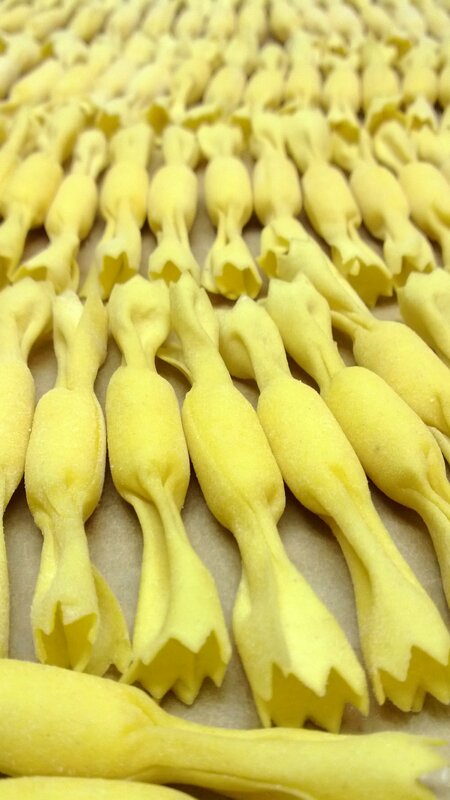 Advanced I: Learning basic filled-pasta shapes. Advanced II: Learning technically difficult filled-pasta shapes. Classes are designed for hands-on instruction with one (or possibly two) student(s). Classes are scheduled at mutually agreed-upon dates and times. Classes are 2-2.5 hours in duration. E-Mail for class fees and other inquiries.